Donaupark Camping Klosterneuburg är en camping i Klosterneuburg, Niederösterreich. Campingen har platser med stängsel, utan skugga och platser med lite skugga. Det finns möjlighet att hyra husbilar. På campingen finns en lekplats och lekstuga. För den sportige semestervandraren har campingen utflyktsprogram och olika cykelleder. Denna inspektör gör varje år ett besök på Donaupark Camping Klosterneuburg och inspekterar campingen för ca 200 faciliteter och för andra förekommande punkter. Inspektören är en medarbetare från ACSI och arbetar inte för campingen. The site is very convenient for taking a train into Vienna. The pitches are flat and well sized. Great site for visiting Vienna. Rail station 50 metres confront gate. Takes less than half hour to get there. Klosteneuburg has all shops etc within 100metres of site. Site very busy could not get in first night as full so went to Sister site at Tulin for one night. Beautiful abbey to visit. We reached Donaupark Camping in Klosterneuburg via a 4 car ferry across the Danube, and found it was a large site with gravel/grass pitches, and a separate area for tents. The pitches were of varying sizes, some quite small, but we were lucky in managing to find a vacant pitch of a reasonable size. Although we arrived quite late at around 16:00, there were still plenty of places available. There were plenty of trees, but unfortunately, there were plenty of mosquitos too - probably more than at any other campsite we have been to. Eventually we had to retreat to our van and the tents in order to escape the onslaught. The sanitary facilities were in two separate blocks, one a dedicated building with showers and WCs, and the other within the main reception building. There were only two or three showers in each block, one of which wasn't working, and I had to queue in the morning. Although there weren't enough of them, the showers were quite good. Also in the main building, there was a laundry room with 3 or 4 washing machines and 2 tumble driers (one of which wasn't working). the cost of a token for the washing machine and one for the drier came to €7,50. A tiny shop in the site cafe sold bread, cold drinks and some preserves in small packets, but there was also a Spar supermarket within easy walking distance in the town. Even closer, were the bus stops and railway station, which provided relatively easy access to Vienna. Travel details were provided by reception, but in summary, you catch a 239 bus to Heilingenstadt and purchase a ticket for €2,20 from the driver (children under 15 years old travel free on Sundays, public holidays and school holidays). From Heilingenstadt you purchase another ticket for €2,20 (children again free on the days previously mentioned) from a machine at the metro station and hop on a U4 underground train to Karlsplatz, after validating the tickets at a stamping machine at the entrance to the platform. The entire journey took around 40 minutes. Klosterneuburg is a pleasant little town to walk around, especially the area around the Monastery. Superb location - ideal for visiting Vienna. Local transport links right outside the campsite. Good facilities, wi-fi a bit expensive. Right next to monastery and pretty small town. Easy access to Donau cycle route. Superb facilities and location. Public transport to Vienna right outside the gate. Good walks for our dogs outside the camp, even if necessarily on the lead. Local spar and dm (for non-food) within easy walking distance. Would recommend unequivocally, and would welcome the chance to stay there again. Ideal site for visiting Vienna. Rail/bus link to city centre within 5 mins walk of site. Site about 30/40 minutes from Central Vienna using public transport which is cheap and very efficient. Very friendly and helpful site staff. Good clean facilities although pitches are quite small. Local shops and wonderful Monastery nearby. Don't allow your Satnav take you to the ferry which is adjacent to the site - very expensive and very small. Plan route in /out carefully. Convenient campsite for visiting Vienna by public transport or bike, opposite the train/bus station and right on the Danube Cycle Path. Excellent facilities, with heated shower room. A long queue for the only tumble drier in the laundry (with 3 washing machines). Cafe/bar had very little choice of hot meals - schnitzel or chicken nuggets with chips.There was no schnitzel left and the chicken was pretty awful. WiFi very expensive. Small pitches with no privacy. Small and quiet. Excellent base for visiting Vienna (14 km) can be easily reached by car or train. Small market with fresh bread and milk. Near the beautiful monastery of Klosterneuburg. Recommended! Blisko Wiednia, dobry dojazd do miasta, infrastruktura w porzadku, bez rewelacji. Wysokie drzewa, podczas wichury niebezpiecznie bylo. Very busy city centre site but surprisingly peaceful at night. We arrived at 11.00am and got the last but one available free pitch. Perfect location for visiting central Vienna by public transport. We went in by train and returned by bus quite late at night. Klosterneuberg is a nice town with its own tourist attractions. Vill du boka Donaupark Camping Klosterneuburg eller få mera information? Det går bra med nedanstående uppgifter. 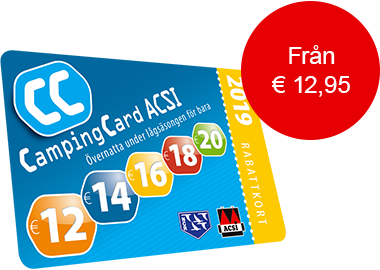 ACSI Eurocampings skickar din informationsförfrågan till "Donaupark Camping Klosterneuburg".